C. Gamma-X and Colossus Rex are being touted as "Premium" and "Deluxe" figures respectively, which probably means premium pricing. With this in mind, it would be prudent to anticipate spending at least $100 if not $150 this July on this line alone - that's a lot of figures! More details are promised on Monday. Sometimes a high price stings for a long time, and with Gemini time has softened it a bit. It still hurts, particularly given how lush the fully-painted figure looked when he showed up at my house recently at a lower price to boot. But I do love orange. So much. 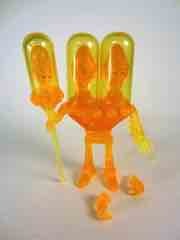 Gemini is one of only two figures to be cast in orange so far, the other being Xodiac from the very first release of these figures back in 2010. Both the orange and the yellow plastics match fairly closely, making this a worthwhile bright and shiny addition to your toy shelf. If you've got a little extra cash to waste, that is, otherwise just get the painted one. 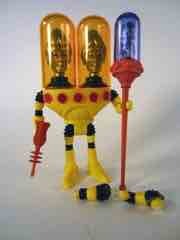 TheOuterSpaceMen.com's Exclusive Outer Space Men Cosmic Creators Series figures are in stock now. According to the site, 39 sets of these unique repaints are up right now, and while mine haven't shipped yet I'm expecting them all very soon. You can read Mel Birnkrant's extensive design notes here, and I guarantee you they'll make these figures more exciting. Naturally, we'll have reviews and impressions and what have you shortly after these guys show up in our underground lair. 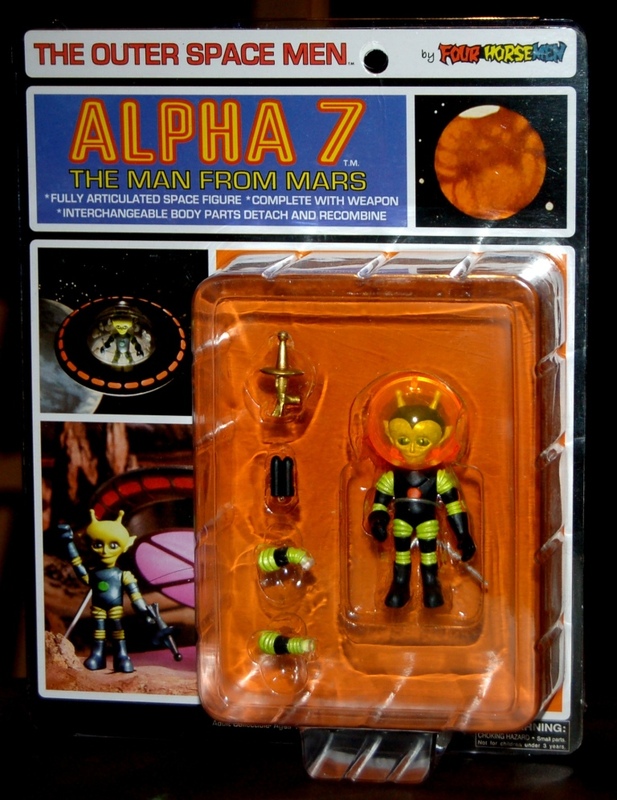 One of the unfortunate thing about the Outer Space Men line is that we get unpainted exclusives of each figure roughly six months prior to the official painted releases, and in that time expectations can start to go up. Gemini, with his high piece count, looked like he was going to be fantastic, and the truth is he turned out quite well. The only real drawback I found was sort of nitpicky, and that's with the deco. Molded in white plastic (like the rest of this series) the figure's yellow paint seems a little rougher than the rest of the line, which tends to be pretty clean and glossy. For all I know, it's just my sample, but it definitely lacks the sort of polish that the other dozen or more painted figures have received so far. Thankfully the silver face paint and clear helmets turned out perfectly, so the end result is a very good action figure that, in nearly any other line, would be spectacular. With wave mates like Cyclops it's hard to look awesome, but the sculpting makes this a fairly weighty release.